The meals have been eaten, the guests have gone home, and a bunch of new toys are scattered throughout the house. Time to get down to the business of holiday clean-up. 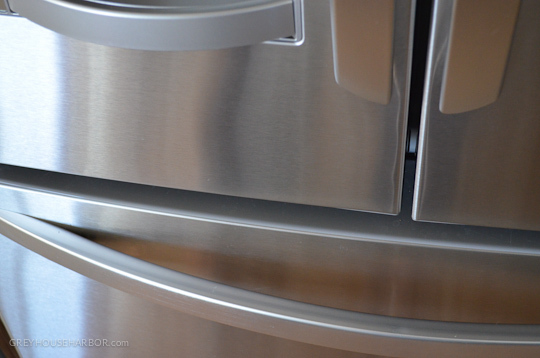 Candy-Cane-coated fingers and eggnog spills have reeked havoc on my stainless kitchen appliances. It’s tough to tell from this photo, but take my word for it – this is smudge city central. 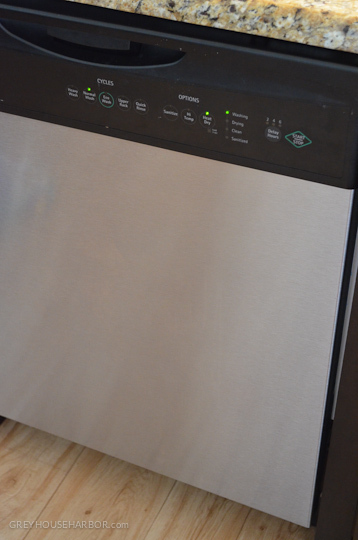 I’ve spent my fair share of crisp dollar bills on fancy stainless cleaners in my day. 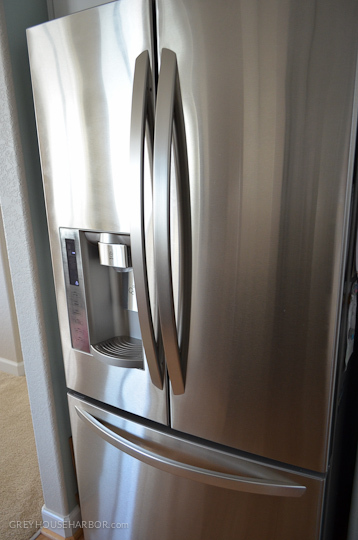 That is, until I learned the simple trick of buffing with Olive Oil! 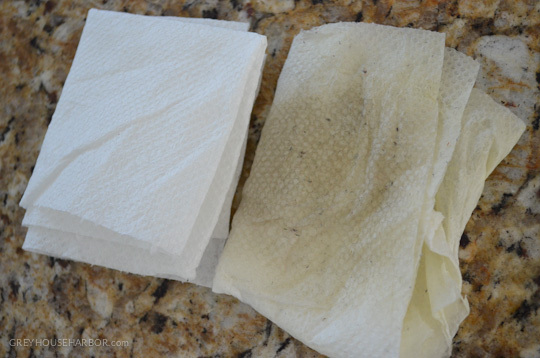 Just dab onto a clean paper towel and rub away. A few passes later and the proof is on the paper… serious yuck. 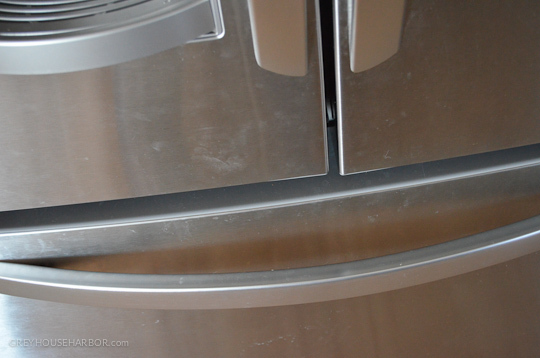 Occasionally you’ll have to use your fingernail to scratch at any very pesky particles, but overall this is a wonderful stainless cleaning solution. 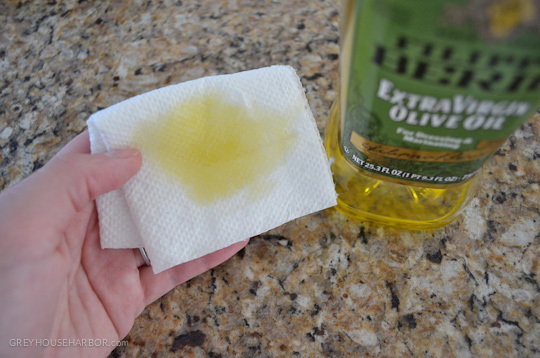 Non-toxic, readily available, easy on the hands, and immensely effective… Olive Oil, I think I love you. 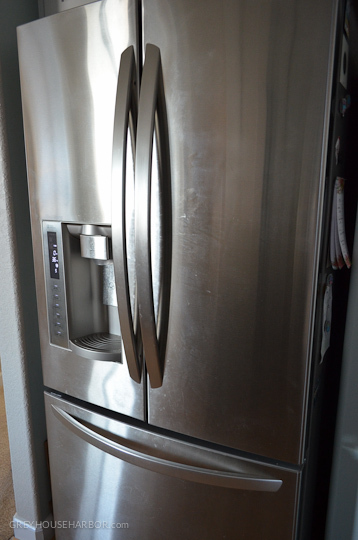 I think that’s s great idea but just curious… Do you have to deal with slight grease prints on fridge or a grease residue on your hands when touching fridge afterwards?…. 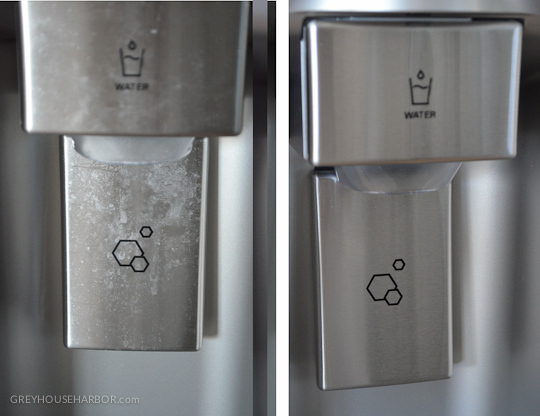 Or fridge become a magnet for dust even on the vertical surface? Hi JM. 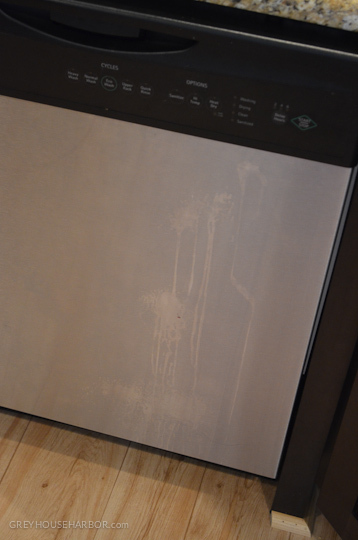 I haven’t noticed any greasiness… Of course fingerprints accumulate again at some point, but you use just enough oil to shine it, not saturate it. Occasionally I will clean tough spots with windex, but then you have to wax over it with oil again to remove the streaks.